Welcome to Rajasthan! Land of those awesome, stereotypical, curly mustaches that Indians have. I have been looking forward to coming to this province of India for a while now. So let’s get started. My first stop in Rajasthan was a city called Pushkar. The jumping off point for this little gem is a city called Ajmer. That is where the nearest train station is at least. 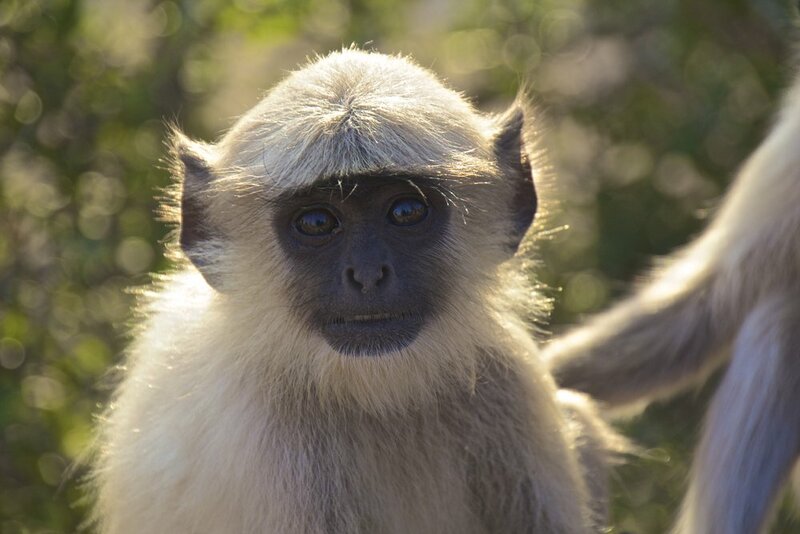 I arrived in Ajmer in the late afternoon, and I was going to have to get a taxi to take me over the ridge to Pushkar. The correct cost for this ride is 300 INR (4.53 USD). It’s about 14 kilometers from Ajmer to Pushkar, so you should try to buy your next train ticket while you're still in the train station. That is the time when it is most convenient, and least costly, so that’s what I did. Ajmer is a heavily Islamic city. In Ajmer there is a shrine called Moinuddin Chrishti. This shrine is a landmark associated with Sufism, which is sort of like a sect of Islam. My understanding is that in Sufism, poor people are believed to have a very strong nobility about them, because they are supposedly the least corrupted by the evils of society. 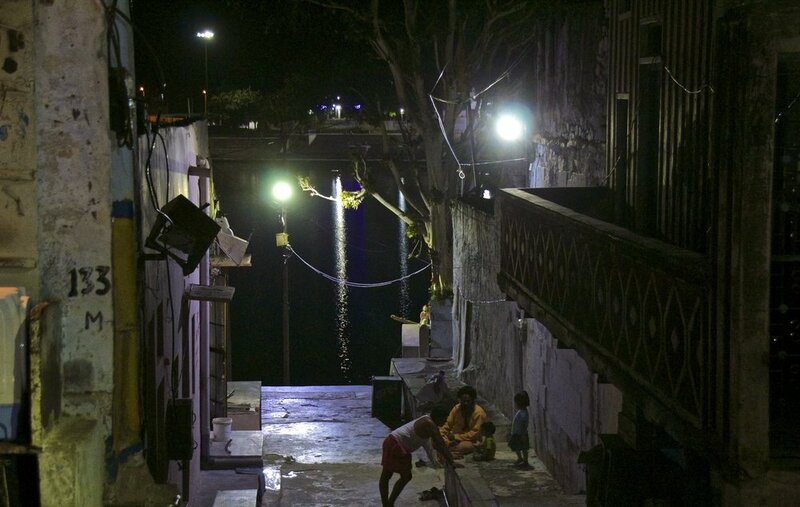 Thus, the lowest class of places like Ajmer, will make themselves appear as low as possible, and the level of poverty will seem much more disturbing. There are 2 kinds of stories you hear white people tell about Islamic culture. #1 are stories that debunk your perceptions about Islam being scary. I have written a few of these stories myself. #2 are stories that reinforce that perception. There isn’t much middle ground. Ajmer is a place where the stories mostly fall into camp #2. So if you ever decide to go here, just be careful in the area around this shrine. I’ll leave it at that. So that was Ajmer – kind of a heavy place – but just 14 kilometers down the road from all that craziness is a little gem called Pushkar. 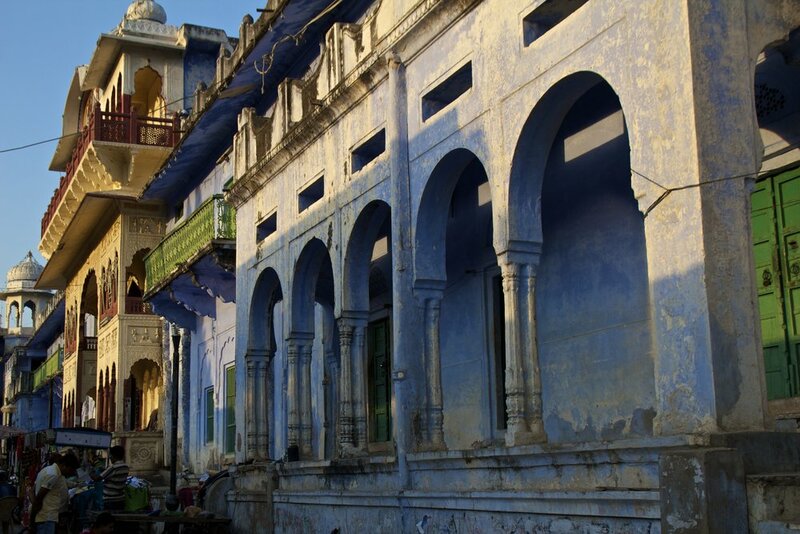 Pushkar is one of the holiest cities in India, and one of the oldest. The actual date of it’s founding is not known, but its beginnings are heavily intertwined with Hindu folklore. Brahma, the Hindu God of creation, is said to have fought a demon, and eventually killed it with a lotus flower. The pedals fell down, landing in places that are now holy cities around India, like Varanasi. One of those pedals fell in what is now Pushkar, and that is supposedly how Pushkar came about. Unfortunately, it wasn’t long after that that Brahma got into some trouble with his first wife, and she cursed him so that he would only ever be worshiped in 1 place: Pushkar. 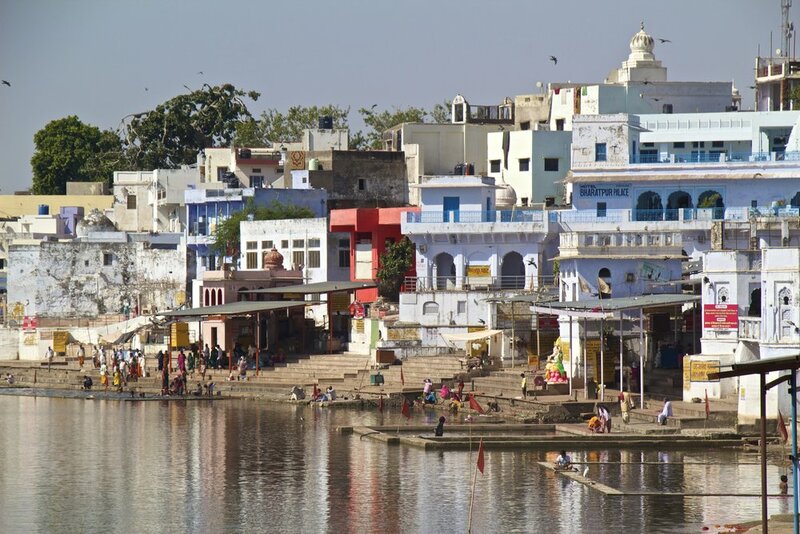 As a result, Pushkar is the only place in all of India that has a temple to Brahma. This surprised me, since Brahma is one of the main Gods of Hinduism, but I guess even God has girl problems. I stayed in the Akash Guesthouse. Bad first: there was no air conditioning, the bathroom was gross, and the wifi was slow. However, it was a pleasant temperature while I was there, and I didn’t find that I needed anything more than the ceiling fan in my room. The man who runs the guesthouse is about as nice as it gets. Because of the slow wifi, he had apparently not yet received my reservation when I arrived, so he didn’t have the room available that I had reserved. In spite of this, he gave me a better room, and honored the original price that I had made my reservation for: 200 INR (3.03 USD) per night. That’s pretty cool. The food in the restaurant was good and it was served all day, and there were some awesome hammocks to relax in. It was really good for what I paid. The main fixture in Pushkar is the lake. 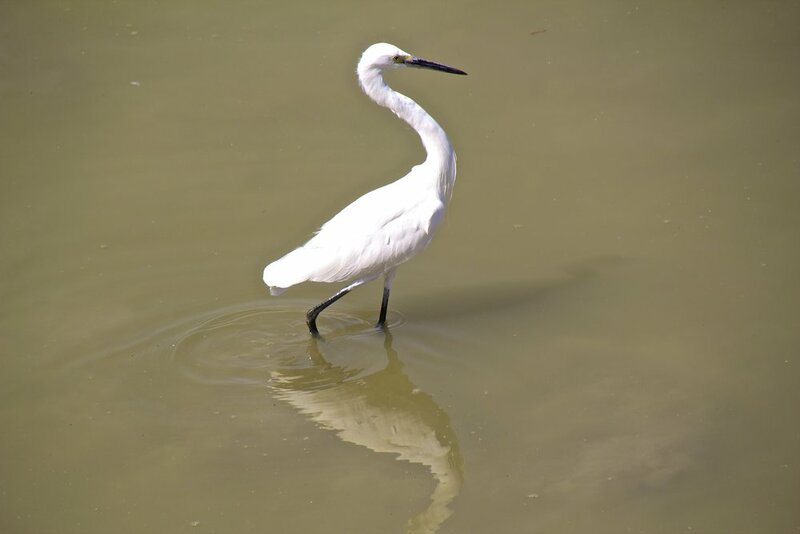 The lake is surrounded by ghats, much like in Varanasi, where people come to bath, thus cleansing themselves. It was nighttime, and most of the city was heading to bed, but we walked down there anyway. As the sign instructed us, we took off our shoes, and walked down to the water. Just then a man noticed us, and came over to us. He chatted us up for a while, and then told us that when people come to Pushkar, they receive a blessing. Receiving this blessing involved some sort of ceremony though, the punch line of which was us making a donation. Of course. This little detail wasn’t brought to light until it was a bit too late for an easy exit though. Whatever. There were 3 of us in total. The man did his “blessing” to us one by one. He filled our hands with flowers, said a bunch words to us that we had to repeat even though we didn’t understand them, and then told us to throw our flowers into the lake. Then he asked how many people we had in our nuclear family. The bigger the number, the bigger the amount of money we were supposed to “donate”. In reality, the number of siblings we had proved to be inversely correlated to amount of money we chose to give. I gave 100 INR (1.51 USD). I’m normally much more guarded, but I don’t know. Maybe it was the calming effect of Pushkar. So why was this the best scam ever? There’s a movie I like about con men called The Brothers Bloom where they say that in the perfect con, everybody gets what they want. Once we had all made our “donations” the “priest” tied red threads around each of our wrists. This was to signify that we had already “donated” to the other “priests”. We rolled our eyes and went on our way. But over the rest of my time in Pushkar I was approached about making this “donation” a number of other times, and each time when I showed them my little red bracelet, the “priest” just turned around and walked away without another word. It was like con man repellent. It was great! I had already been conned of course, but the amount of trouble it saved me later on was absurd. I’d gladly get conned again if it eliminated the hassle of saying “no go away” to people all day. Then again, I had been on the road a long time when this happened. Maybe this is just my weariness talking. There are 2 little mountains on either side of Pushkar with temples on top of them. There are paths going up these mountains and lookouts with great views of the city and the lake. We decided to hike up to one of them for sunrise, so when the alarm clocks went off at 5am, we groggily stumbled through the streets. It was mostly a pretty easy hike, but it got steep at the end. I was out of breath and sweaty when I arrived at the top. It was a pretty hike though. This part of Rajasthan is pretty much the same dry arid climate that you will find in Southern California. Looking down at the city lights from this dry, shrubby, ridge was reminiscent of looking down at the lights of the valley in Los Angeles. Unfortunately there were no other Americans around at the time to say “yeah Peter, you’re so right”. This might seem odd to say, but I think the real charm of Pushkar is that there isn’t anything to do there. I say that in the best possible way. The city is small, and it doesn’t have much in the way of tourist attractions. The only thing there is to do there is walk around. There's a lot of weed floating around the city as well, which came as no surprise. It had that kind of vibe. The people are very kind, and not pushy, as is to be expected in India. Even the scammers were more chilled out. 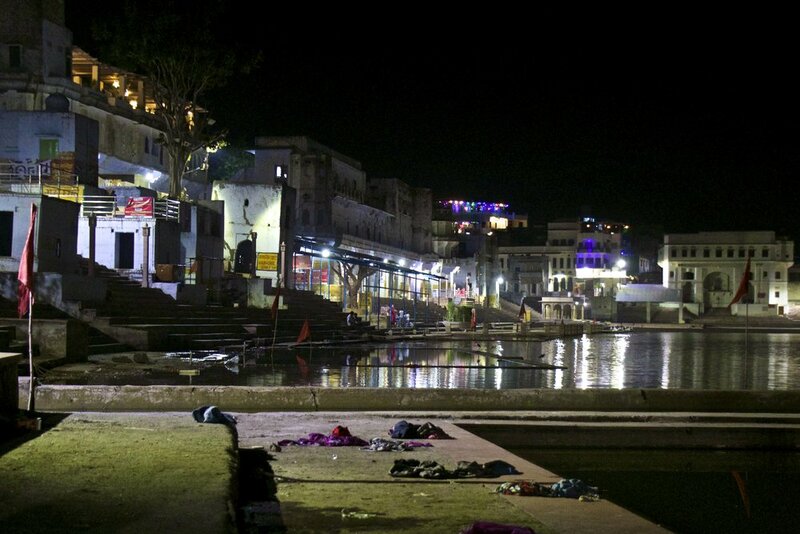 With all its ghats and temples, Pushkar was like what I had hoped Varanasi would be like. 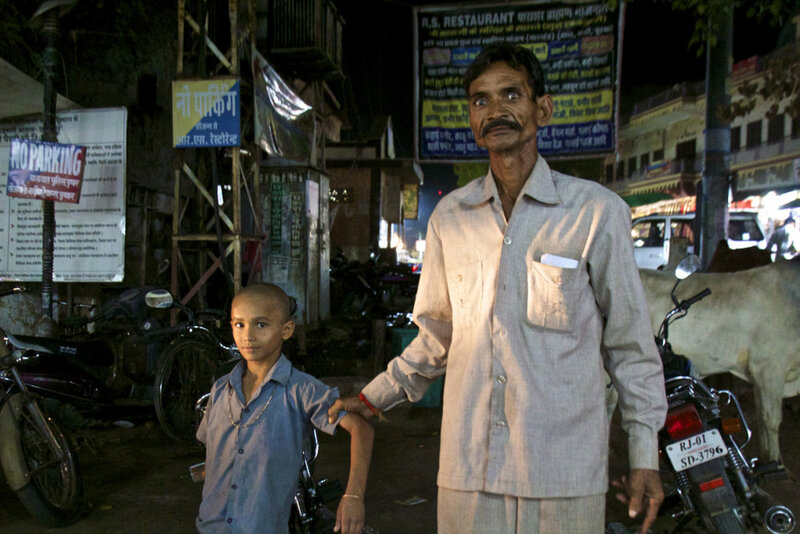 I lost a lot a faith in humanity in Varanasi, but I gained some of it back in Pushkar. Eventually sunset came, so we headed down to the ghats. That seemed like a good place to watch the sunset from. As the sun slide downwards towards the horizon line the sky turned a mellow pink color, and religious ceremonies began. Groups of men came out on all sides of the lake, forming a circle. Prayers were sang over a loud speaker, loud drumming started from somewhere behind me up in the city, and the groups of men lit torches. As the sky went from light to dark, the drums were beaten, the prayers were sang, and the men carried out their ceremony with their torches. It was really cool. The coolness of this, however, was partially lost on me because I was really tired. I bid my friends adieu, and trudged home to get some sleep. Remember that wedding that the building across the street was getting ready for? That is what was happening when I returned to my guesthouse, and it was loud. Ridiculously loud. Ludicrously loud. There was a marching band blasting some sort of Indian polka right outside my bedroom window, so there wasn’t going to be any sleep happening. I was not happy, but if I was going to be awake, I figured that I might as well go see was all the buzz was about. It was actually pretty interesting. The women, mysteriously watching the festivities from doors and windows, were done up in their colorful makeup and robes. The men twiddled their mustaches as they laughed and yelled. People were dancing in the street and throwing flower pedals. There had apparently been a parade that had made a full circle around the city. I arrived for it’s grand return to the wedding venue. 2 people, who I presume were the bride and groom, rode in on horses, blindfolded. They were helped off of their horses, and with their blindfolds still on, led inside. Once they were inside the building, things quieted down, thank the lord. It was past my bed time. The next day I took the train to Jodphur: The Blue City.